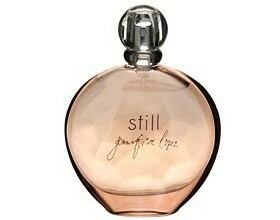 Still by Jennifer Lopez is a blend of sheer sophistication. Spicy white pepper, sensual sandalwood, and musk mix with ultra feminine florals, like pink freesia, honeysuckle, orange flower, and rose to create the most mesmerizing aroma. Top notes include white pepper, Earl Grey tea, mandarin, rice wine and apple, with heart notes of pink freesia, honeysuckle, rose, jasmine, orange blossom and lily of the valley. Dry down notes combine sandalwood, musk, amber, iris and pepper. It is recommended for daytime wear.